Maldives is 99% water. 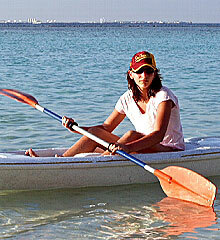 Almost all the resorts have a water sports centre that provide a range of water sports and fun activities. Some of the popular water sports activities include snorkelling, windsurfing and catamaran sailing. You can get most of the equipments of gears from these centres and some centres offer specialised courses to beginners and advance windsurfers and sailors. 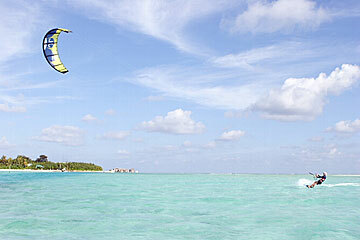 Other popular water sports activities include, kayaking, parasailing, kite-surfing, water-skiing and jet skiing.